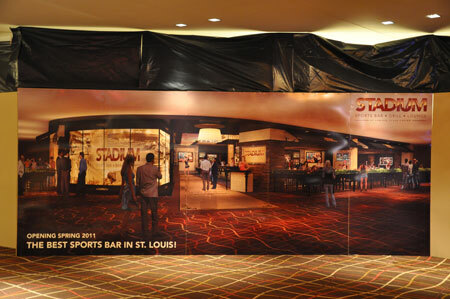 What is going on behind your construction wall? 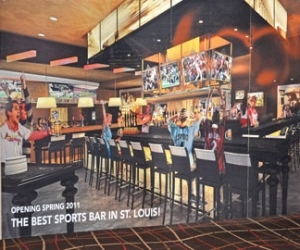 A beautiful rendering of things to come was Lumiere’s way of showing off their soon to be opened Stadium Club Sports Bar and Grill. 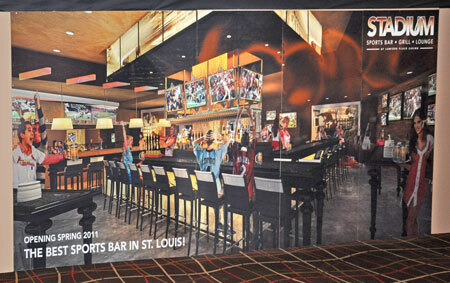 These full color 40′ wide X 8′ high vinyl wraps helped build excitement for St. Louis’s premier sports bar with smiling faces, a beautiful bar, and lots of flat screen televisions. 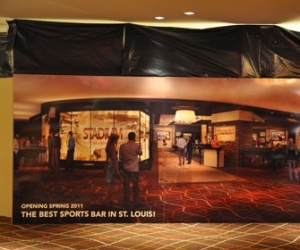 How can you build excitement for your construction project?